Tents provide an alternative to the comfortable hosting of guests in our homes. They have the advantage of blending with the nature unlike being inside a house. Your guests become more relaxed by holding talks casually in a free environment. If you like to provide all these benefits whenever guests arrive in your home, you should look no further than buying Leader Accessories 10'x10' Instant Pop Up Canopy. The tents frame and fabric are well built and heavier than most general canopies which offers reliability. Besides, the tent has wind guide outs to reduce the intensity of wind against it. Hosting your guests in a tent exposes them to the beauty of the surrounding and needless to say, the cool breeze in the evening. Tents whose height can be adjusted offer a wonderful experience and convenience especially when you have to accommodate taller people. The tent caters for these adjustments by providing users with three height settings, 68.5", 72.4" and 76.4". With these options, the tent can acclimatize to your height demands, literary! 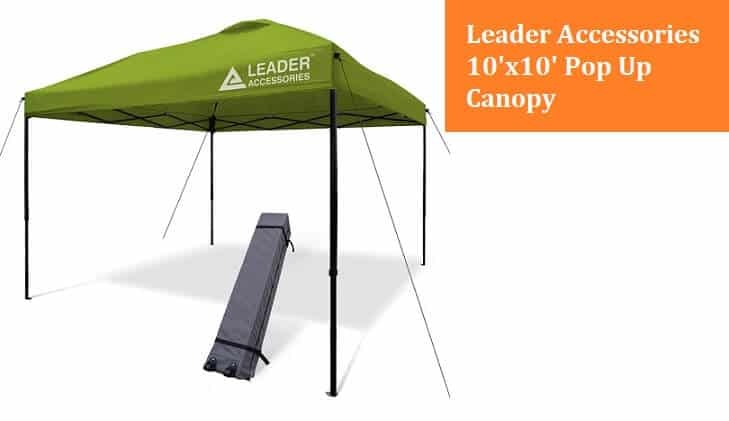 Leader Accessories 10'x10' Instant Canopy comes with straight legs and can provide adequate cooling shade for 15 people. 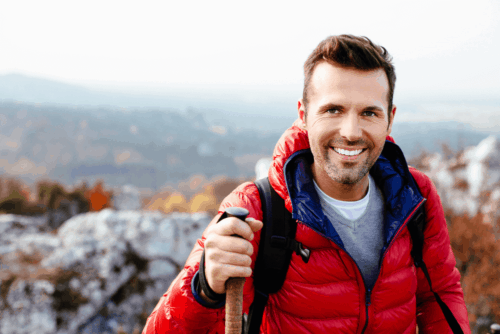 You want a lighter load after you are done with using the tent and now is time to pack? The Leader Accessories Instant Canopy comes with a wheeled storage bag to ensure you do not break your back carrying the tent to your vehicle. The Pop Up Canopy is the ideal tent when you have to host guests, and you are all alone at home. The fully assembled one-piece frame makes its set up possible even without an extra person helping you. You will be able to accomplish much more than comfort and value for your money by buying this tent. During set up, the tent has a vented top to increase air circulation which adds on to its convenience. Fresh air never has a minimum which is why every health-conscious buyer should settle on this unique canopy tent. You want to use your product for a long time and yet feel like it is new. You would want a tent that you can set up and go straight into entertaining your guests without the need for tidying up. Tents with a rectangular top create a feeling of equality among its occupants regarding ambiance. The design is wonderful and brings comfort by reducing crowding in the tent among occupants angling to have a clear view of happenings outside the tent. You want those attending your functions just to sit and relax by taking away their effort to obtain comfort which is an awesome feature which should make you look no further than choosing to buy the product. Different regions have varying intensities of sunlight whose exposure to might be harmful to the skin by triggering skin conditions. A UV protected tent comes handy in reducing your exposure to the harmful rays and leave you worry-free to enjoy the outdoor experience with friends and family. You should consider buying Leader Accessories Canopy to have all these possibilities and enjoy utmost value for investing in a safety conscious product. This canopy is in a class of its own when it comes to having a nice time outside the house. The tent is both smart looking especially its silver chip and rust protection coating and durable which makes it a more for less product when you figure about value for your money. The product is a must-have if you do not want your guests feeling confined and restricted by indoor formality.